Tyde incorporates special features to address the acoustic challenges of today's open plan offices: the electric height adjustment motor is especially quiet and concealed under the table inside a sound-absorbing cover. In addition, the newly developed screens made of polyester fleece work effectively with the cover to dampen ambient noise. 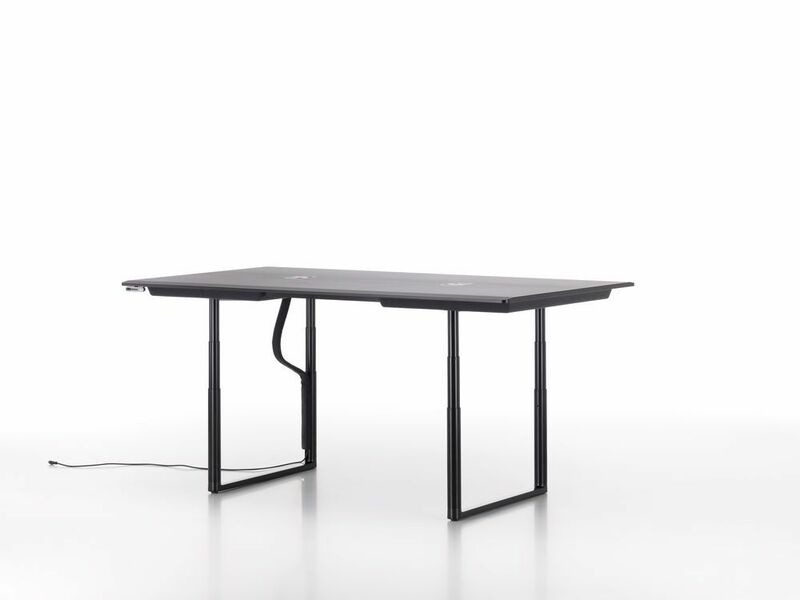 Meeting table with one-piece table top; includes sound-absorbing cable trays. Since 1999 both brothers have worked together as joint partners in their own Paris-based design studio. Their work ranges from small utilitarian objects to architectural projects. In addition to the design of domestic and office furniture, vases, porcelain dishware, jewellery and diverse home accessories, a primary focus of their work is the design and organisation of interior space. One of their most unconventional designs, Algue (2004), was created in this context. The collaboration between the Bouroullec brothers and Vitra began with the office furniture system Joyn, which was developed between 2000 and 2002 and continues to be expanded and refined. Along with Jasper Morrison, Hella Jongerius and Antonio Citterio, Ronan and Erwan Bouroullec have made major contributions to the steadily growing Vitra Home Collection.